BMW. racing. sci-fi. innovation. design. technology. beauties. What is organisation culture? What are the dimensions to culture? Organisation culture is quite hard to define. Many seem to agree that organisation culture refers to the organisations’ values, beliefs, habits and how it interacts with different peoples or stakeholders. Those are certainly some of the dimensions of organisation culture. But are there any others? What about how the culture is incentivised, i.e. its motivations? What about its speed of action, its urgency? Any others? Would it be fair to explore organisation culture in the following dimensions (and are they the right dimensions)? I would like to discuss and explore these further. 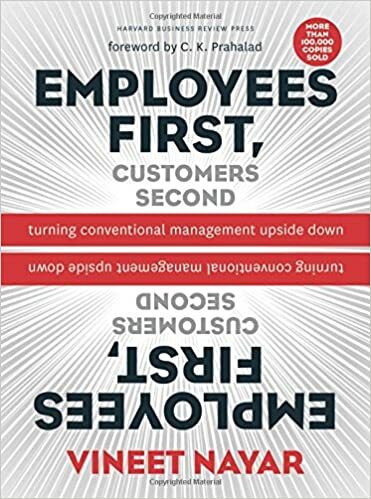 Only once we understand what is organisation culture, only then can we determine how we understand what creates this culture, so we can work with it, or even “re-boot” it. So feel free to comment below, or even tweet me. Colourful offices to inspire creativity and innovation, like Google? Amongst many things, Google is also well known for its creatively designed office and work spaces. The logic behind the colourful and playful design is to create environments that can nurture creativity and innovation within the people that work in these places. Google is acknowledged as one of the most innovative companies in the past decade or so with a variety of products and services that are significantly impacting and changing our lives. This is quite a common trait of many tech companies too. And similarly these companies also adopt conditions that are designed to encourage creativity and innovation. Of course, such conditions are not only confined to office space design. Values, management practices, and leadership play equally big roles. I believe that environment shapes culture, and in the case of Google and the likes, how much do you think the office and work space design (colourful and playful) contribute towards the respective organisation’s innovative culture? Management is in need of a major rethink. We live in a volatile, uncertain, complex and ambiguous (“VUCA”) world – where we have very little ability to control or predict what will happen in our near future. This reality is also true in organisations that rely on knowledge, information and ideas, as opposed to activities that rely on a production line system. Unless you work on the factory floor, or some form of production line – chances are you will be dealing with quite an amount of VUCA. 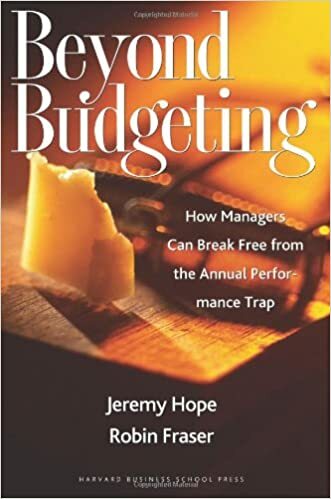 For some time management has been aiming at trying to control, predict and eliminate the VUCA, but it is a losing battle. VUCA is the reality, and no amount of management can eliminate it. After all, you can never really predict nor forecast the future now can you? 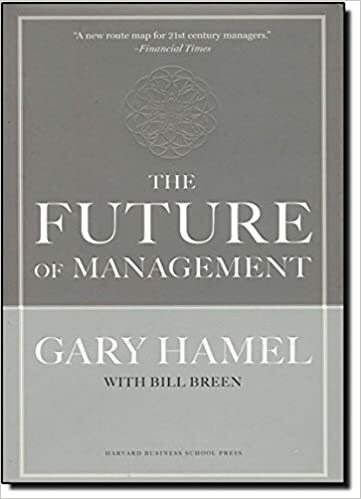 Management as we know it was invented at the time of the Industrial Revolution whereby, human capital was just seen as tools in a production line created in order to make widgets at scale, faster and more efficiently. Industrial Age management emphasised control, conformity, predictability and efficiency. In many situations today, such production lines are increasingly automated or outsourced to cheaper locations. What many organisations have left to do is to respond to the changing customer demands and technology disruptions, amongst many other changes. 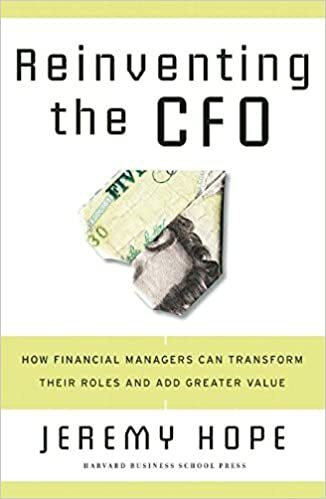 Unfortunately, management still employs processes and practices that were created for the production line in a futile aim of controlling and predicting outcomes. Let me correct the last statement a little. Management can still to some extent control and predict outcomes – only if it aims to stay within a very narrow range with near to zero risk of variance. But this results in stagnation and in worst cases, doom. Management has been slow to adapt to the fast pace of development as well as the increasing VUCA we face in our businesses and economies on a daily basis. Organisations must evolve to the changing environment. This is true. But management will need to stop trying to control and predict outcomes. Instead, management will need to quickly sense and adapt to the changing environment in order to deliver the best outcomes. This is why management will need to move away from “command and control” towards a model that empowers and inspires the best out of people. This is because, people are organic and are very adaptable to changing environments. People respond to environment changes quickly. So management will need to harness this ability effectively. It is in this context, that I sought out management ideas to help guide our way. 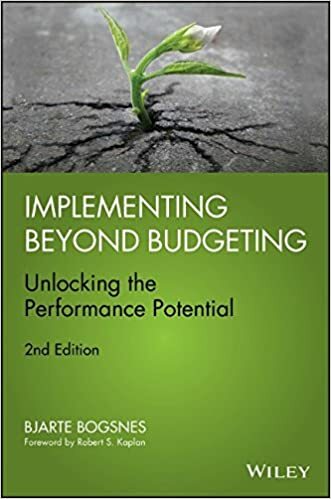 Through a colleague, I first stumbled on the Beyond Budgeting Roundtable. 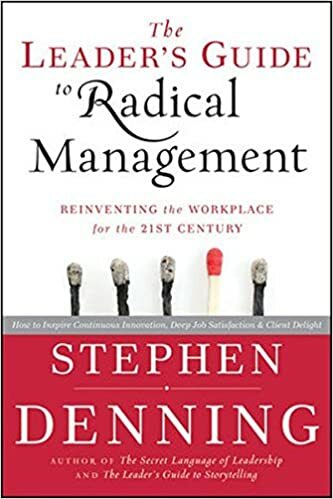 Subsequently, I discovered other materials and I would recommend a few books that can shed some light into how management should rethink itself in this context of VUCA. The world is changing so quickly that whatever we know now is quite simply out of date already. What got us here, won’t get us where we want to go next. A new thinking is required. Economies, like businesses, are stagnating – creating huge stresses within society and environment. No new wealth is created, but wealth is instead being recycled from existing resources. Population is growing, resources are depleting and the economy is plateauing. Social welfare is at risk, as resources become more expensive but wages stagnate with the economy. Distribution of wealth remains unchanged: no new businesses are created, and wealth continues to remain within existing circles. Of course, the rate of stagnation varies from one country / society to another. So the issue of stagnation may be more, or less, apparent in different countries / societies. That being said, the trend of reducing marginal utility is quite commonly seen as countries / societies develop or progress. To address this reality, big problems have to be solved; we must adapt to changing variables; and create new opportunities and new wealth for society. This is the innovation process. While invention is the process of converting value into ideas, innovation is about converting ideas into value. With new value, comes new opportunities, adaptability to change, and problems newly solved. Innovation may be a concept, idea, and word that has been overused. But it is becoming more necessary in the world today for the following three reasons. Reason number 1 – Innovation gets us out of dead ends. We frequently face challenges and obstacles that seem to prevent us from moving forward. Sometimes these obstacles may be minor and we choose to accept or live with them, but other times the obstacles may be so threatening such that something must be done about them. Today we face many obstacles that threatens our society – climate change, depleting resources, geo-political and social imbalances etc. These are big obstacles or problems that, if not effectively addressed, will threaten long term sustainability of the global society. As these are big problems, by nature they cannot be solely solved by the same approaches and ideas that we have utilised till now. Often these will require significant boldness and new thinking. Reason number 2 – Innovation helps us adapt and survive in times of major change and disruption. We live in a world where change is happening at an increasingly fast pace. Disruptive forces are ever present, not just in technology, but in many different areas such as politics, economics, society, environment and laws. Some of these disruptive forces can be seen clear as daylight – such as the political shifts in the USA and other parts of the world; and other disruptive forces may not be apparent today – such as the technology march that was so imperceptible until it reached a tipping point and hit once profitable and dominant firms such as Kodak and Nokia. People, firms, governments, political parties etc will need to be constantly adaptable to these changing forces. There is no point for these groups to fight and deny these changing forces. For there is no way to stop the change of weather; instead, we must find ways to adapt to it. Innovation is about being constantly sensitive to these shifts and being able to adapt to them. It is about sensing these signs and changes, then identifying and creating ways to adapt, even take advantage of these shifts. Innovation is about being adaptable, being open to new information / knowledge, and listening / observing to find ways to produce solutions for these changing times. Reason number 3 – Innovation allows us to create new opportunities. Human society is amazing in its ability to innovate. But it also has a down side when it is unchanging and complacent – which tends to breed arrogance, greed, inefficiency and neglect. This is why human society can never stand still. Without innovation or new opportunities, society’s existing elites and usual suspects will tend to reign supreme in the existing opportunities and will continue to lock others out from gaining more share of these opportunities. This situation becomes even more acute when the demand far outweighs the supply of such opportunities. The gravity of the problem is further multiplied when arrogance, greed, inefficiency and neglect increases. The cost one has to pay for such opportunities will become sharply higher and extend beyond the reach of those who cannot afford it. This then creates a vicious cycle which will ultimately lead to social issues. Innovation is society’s renewal and rejuvenation process. The innovative process is inherently disruptive. It is about bringing about something new because the existing solutions have become inefficient, slow, and no longer relevant to the needs of present day society. This disruption acts as a reset to level the playing field and re-distribute opportunities and wealth from the incumbents towards those that create new value. This reset is crucial to unseat the complacency that tends to take hold of society. I believe that it is clear and ultimately vital that the society we live in today must push for innovation in order for our society to deal with some of the pressing issues as mentioned above. Innovation is not just about products and businesses, but also about thinking, attitudes and cultures. Stagnation is bad for society – and we see some signs of this stagnation in many areas. It is urgent that innovation is given more than just lip service. Efforts must be taken to create the right conditions for innovation to flourish. Work to create conditions for innovation – not just talking about it or appointing people to the task of innovation. Failure to encourage innovation will almost certainly result in significant social crisis. I will in future write about what I believe are the right conditions for innovation to flourish and discuss these further. Thank you for reading. The environment shapes culture. Change the environment, culture will follow. You can have a great strategy, but if the culture is not right then the strategy will fail. What is culture? In simple terms, my view of culture relates to how people act and behave, their habits and norms, their priorities and focuses. But changing or reshaping culture is not an easy thing. You cannot change how people conduct themselves. You can’t effectively force people who love to spend to suddenly save. You can tell them to do so, remind and cajole them even. But they will not willingly or naturally do so. However, if you create a hypothetical situation where prices increases sharply, then people will start to save. This can be clearly seen with regards to natural resources such as water. If water is cheap, people will use it with very little thought and often waste it. When water is precious and expensive then people will start to save it. The same applies in management. If you want a culture of obedience, you create detailed rules and processes (bureaucracy! ), you emphasise punishment and fear. If you want a culture of innovation, you allow more freedom especially for people to think different and try new things. You create the space and encourage minds to open. Don’t spend time trying to get people to behave differently. Work on the systems and processes, not the people. Don’t bother trying to change people behaviours. Just change your management processes. Identify what kind of culture you want. What behaviours you would like to see. Be very clear on this. Then identify what are the current systems and processes that inhibit these behaviours and those the encourage these behaviours. Start changing those systems and processes. Work on the systems. The culture will follow. The issue is Quality of Life, not Cost of Living. Focusing on Cost alone is a dangerous exercise in minimization. We must shift the narrative and conversation. In order to be globally competitive, we need to start opening ourselves more to the world. Resistance is futile. But perhaps resilience and being able to adapt isn’t. Disruptions facing us, we need to be ready, and make it better for all of us.